ST. LOUIS • Two men from Missouri have been charged with second-degree murder in the killing of a physician in Florida this summer. Curtis Wayne Wright, 47, of Hillsboro, and Jimmy Ray Rodgers, 25, of Cadet, Mo., about 70 miles southwest of St. Louis, are held in jails in Missouri. Lee County, Fla., Sheriff Mike Scott announced the arrests of Rodgers and Wright on Thursday in connection with the slaying June 29 of Dr. Teresa Sievers, 46. Scott said, “Two vicious killers are in custody,” the Naples (Fla.) Daily News reported. The newspaper also said that Wright and Sievers’ husband, Mark Sievers, have been friends since high school in Hillsboro, citing mutual friends of both. One of the men who Lee County detectives say killed Estero doctor Teresa Sievers appeared in a Missouri court Friday. The St. Louis Post-Dispatch/STLtoday.com reported 25-year-old Jimmy Rodgers appeared in U.S. District Court in St. Louis Friday morning to waive a hearing on a claim that he violated terms of his supervised release. He will appear in a Missouri Court on Sept. 2 for sentencing on his violation charge. Curtis Wayne Wright, 47, who was booked Thursday in connection with Sievers' murder, is being held at the Jefferson County Jail in Missouri as a Florida fugitive. Wright, of Hillsboro, Missouri, is being held on no bond, according to the jail. Rodgers, of Cadet, Missouri, was on supervised release for a felony weapons charge. He violated the terms of his release by traveling to Fort Myers in June, Lee County detectives said, according to court documents. Rodgers was seen at a Walmart on Six Mile Cypress in south Fort Myers on June 28, the day before Sievers' body was discovered at her Bonita Springs residence. Sievers, 46, was found at her Jarvis Road home after she didn't arrive for work at her Estero-based alternative medicine practice. Sievers was with her husband and two daughters at a family getaway in Connecticut the day before she was killed. She flew back alone on June 28. She was a well-known specialist in internal medicine, prominent member of the community and a volunteer at a transitional home for teen mothers and their babies near San Carlos Park. A Lee County investigator was in the courtroom for Rodgers' proceedings. Rodgers' lawyer, Joan Miller, said Rodgers was only admitting to leaving Missouri, but not that he traveled to Florida or committed a crime, the Post-Dispatch reported. Miller declined to comment on the allegations. Teresa Sievers, 46, was found dead in her Bonita Springs home on Monday after staff at her Estero office became concerned that she didn't show up to work, despite having scheduled appointments. Sievers had been in Connecticut with her husband, Mark Sievers, their children and sister Anna Lisa prior to her death, but flew home alone on Sunday. Two Missouri men have been arrested and charged with the murder of Bonita Springs doctor, Teresa Sievers. Jimmy Rodgers and Curtis Wayne Wright were taken into custody and have been charged for Sievers murder, according to Lee County Sheriff Mike Scott. Wright has been charged with second-degree murder. Sievers was found dead in her home on Jarvis Road in late June. The mother of two small children ran a hormone therapy and holistic healing practice out of Estero. Sheriff Scott said they believe the murder was "a targeted set of circumstances." We have confirmed Jimmy Rodgers was arrested in Missouri on a federal probation violation. Through federal court documents, we learned Rodgers was seen at a Lee County Walmart on June 28. Sievers was found dead in her home on June 29. Rodgers' prior convictions on weapons charges led to his probation, and he was not permitted to leave the state of Missouri based on that probation. An investigator from the Lee County Sheriff's Office Major Crimes Unit reported the findings to the federal court -- leading to Rodgers' arrest. The neighbors of a well-regarded doctor and mother-of-two who was discovered murdered inside her upscale Florida home have been told a hammer was used in the crime, according to reports. Dr Teresa Ann Sievers, 46, who operated the Restorative Health & Healing Center in the Estero Medical Center, was found dead at her family's house on Jarvis Road in Bonita Springs on June 29 while her husband and children were with relatives in Connecticut. Police have not released any information about a possible suspect in the case, but a door was removed from the upscale home as investigators scoured the residence for five days last week. Neighbors have now told HLN they were informed by police that the murder weapon was a hammer. The locals also said investigators are searching for a vehicle parked in the driveway of the victim's home on the morning of the murder. That vehicle was said to be a 'tan-colored truck'. On Monday, a 'Celebration of Life' was held at the Unity of Naples Church for the doctor, who was known as 'Mother Teresa' for her holistic approach to medicine. The funeral started at 2pm. Two men were arrested this week in connection to the murder of a well-regarded Florida doctor and married mother-of-two who sources say was beaten to death with a hammer. Curtis Wayne Wright Jr, 47, and Jimmy Rodgers, 25, were arrested in Missouri and are facing charges of second-degree murder in the death of Teresa Sievers, 46, who was found dead in her Bonita Springs home on June 29. Wright is a longtime friend of Sievers's husband, Mark Sievers. The two went to school together and are friends on Facebook. They name one another as family members on the social media site, but it is unknown if they are related. Wright was also friends with Rodgers on Facebook, but the latter has recently deleted his account. Lee County, Florida, Sheriff Mike Scott called the arrests a 'big deal' on Thursday and described the incident as a 'targeted set of circumstances', according to WINK. 'This is the most complicated, intricate set of circumstances that most of us have ever seen,' said Scott. He added that the case is still active. Rodgers was arrested on Wednesday for leaving the state of Missouri without contacting his probation officer, according to an arrest warrant. He was on probation for possessing a handgun as a felon. The two Missouri men who were charged with second-degree murder in the death of Florida doctor Teresa Sievers hung out at at least twice in the weeks before the married mother-of-two was killed. Jimmy Rodgers, 25, and Curtis Wayne Wright Jr, 47, appeared in a photo together posted on Facebook by Rodger’s girlfriend, Taylor Shomaker, on May 30. In a set of photos posted June 7, Shomaker appears in photos with both the men. Though they weren’t pictured together, Shomaker is seen in both photos in the same shirt and makeup, suggesting it was the same night. Rodgers and Wright were arrested on Thursday in connection to the death of Sievers, 46, who was found dead in her Bonita Springs home on June 29. They were both charged with second-degree murder. Thanks for bringing this case in, Rump. I hear it is a very complicated case, lots of twists and turns. I can barely keep up with it. Those poor little girls being left in the world without their loving mom. So very sad. Well, unfortunately my theory is that the husband had something to do with it. Cops say to expect more arrests. I wouldn't be surprised if there is more than one arrest after these two other morons got arrested, but I don't know enough about the case to say. Does anyone else have any theories? I am new to the case. Just skimming and posting a few news articles to set the ball rolling. My first thought is.... WHY only 2nd degree murder charge? On the face of it, a woman beaten to death with a hammer in her own home warrants 1st degree murder? CADET, Mo. – WINK News traveled to a small town about 90 minutes south of St. Louis where one of the men accused of murdering Teresa Sievers, Jimmy Rodgers, lived with his girlfriend. We met a man named Robbie Lake, who stays in a mobile home right across from Rodgers’ trailer. “I went over to his trailer a couple times, sat with him, he always talked about how we was wanted by the feds,” said Lake, who also said he never asked Rodgers’ why he was wanted by the feds. Lake told us Rodgers would also talk about how much he liked hammers. According to a source in the Lee County Sheriff’s Office, Sievers was bludgeoned to death with a hammer. “That gave me chills, knowin’ that he said his favorite weapon was a hammer,” said Lake. Another neighbor told us that Rodgers once gave her husband a ride home from Wal-Mart and showed him a hammer he kept under the seat of his car. “I’ve got a ten year old daughter, and you know it’s just not a good idea to have somebody like that around here,” said Samantha LaRue, another neighbor. Neighbors say on Tuesday, August 25, authorities from both Missouri and Florida raided Rodgers’ trailer. “I seen them take bloody clothes out of Jim’s car, to put in a paper bag to put in the CSI truck,” said Lake’s girlfriend Angel Coleman, who witnessed the raid. “They found a cooler, a white cooler, and it had blood spots in it,” said LaRue, who also witnessed the raid. Before news of Rodger’s alleged involvement in Sievers’ murder reached the trailer park, Coleman says Rodgers was fairly well liked. This is such an interesting a valuable piece of equipment and new to me. Hoping many more, if not all agencies, are able to purchase this investigative tool. And it does blood spatter analyses? Does this mean no more spitting ketchup on a paper background by Dr. Lee? I am still reading up on this case. BONITA SPRINGS, FL - We are digging for more information on the two men arrested last week in the murder of Bonita Springs doctor, Teresa Sievers. Sievers was found dead nine weeks ago in her home. Her accused killers - Jimmy Rodgers and Curtis Wayne Wright, Jr. - are both in custody in their home state of Missouri. Jimmy Rodgers is being held for two reasons; the murder accusations as well as a federal probation violation that he pleaded guilty to late last week. Rodgers will learn his federal fate Wednesday with a sentencing, and then will move forward from there. As for Wright, he's in the Jefferson County Jail. At his most recent hearing, Wright told the judge he would not waive his extradition. On Monday, a local Missouri prosecutor issued a fugitive warrant on Wright -- keeping him behind bars without bond while they wait for an extradition warrant to come out of the State Attorney's Office here in Florida. Wright's next hearing is set for 30 days to check on his extradition status. On Monday, we also learned Wright got married earlier this year. We've reached out to his wife, but have not heard back. We'll keep a close eye on both suspects to let you know when they make their way back to the Lee County Jail. Lee County Sheriff Mike Scott explained the intricate investigation into the murder of Estero's Dr. Teresa Sievers that hit a landmark last week with the arrest of two Missouri men nearly two months after the killing. Scott said he expects Curtis Wayne Wright, 47, to come back to Florida before Jimmy Rodgers, 25. Both are being held in Missouri on second-degree murder charges. He said the two main investigators, Sgt. David Lebid and Det. Michael Downs, packed enough clothes expecting to be there three days the first time they went to Missouri. They ended up staying three weeks, and had to buy extra clothing. "I don't know that there's been a higher profile case," Scott said of a Lee County homicide. n spite of the long weeks away from home and the agency's dozen personnel working in shifts, he said: "We can't rule anything out, the way it has unfolded and the way it has started to mushroom in the last 10 days, I couldn't rule anything out, I can't rule out more arrests, more travel for our people." The sheriff said the teamwork between the sheriff's office and all Missouri and federal authorities is what led to these arrests. He said that although multiple media outlets have reported the murder weapon as a hammer: "We have not and will not say that a hammer was used." Scott also mentioned that many have drawn conclusions from a nickname Rodgers gave himself on social media. "Rodgers has this business of hammer on his Facebook," Scott said. What the sheriff did say is that the murder was brutal. Jefferson County, Mo. – Before he was arrested for the murder of Teresa Sievers, neighbors say Wayne Wright lived with his wife in a trailer in Hillsboro, Missouri. WINK News visited the neighborhood and met Sarah Hanneken, who told us detectives from Florida started poking around back in July. “They stopped over there and asked us if we knew him… and asked us if we see anything suspicious to give them a call,” said Hanneken. Wright and Sievers’ husband Mark have been friends since childhood, according to Teresa Sievers’ sister. Neighbors say about two weeks after Sievers was found dead in Bonita Springs, a SWAT team raided Wright’s trailer 1,200 miles away. “I seen like 20 SWAT guys or so… flak jackets and a whole lot of rifles. And a lot of cops walking around,” said Darren Smith, Wright’s next door neighbor. Smith says Wright was handcuffed, detained, and released about three days later. Then, on Tuesday August 25 in Cadet, Missouri, about 30 minutes from Wright’s trailer, neighbors say investigators raided the trailer of Jimmy Rodgers, the second suspect in Sievers’ murder. “They must’ve brought out at least a dozen brown bags,” Rodgers’ neighbor Billy White told WINK News. Neighbor Angel Coleman told us Rodgers and Wright are close friends. Rumpole, in the above article the following is stated. So, First Degree murder charges could be forthcoming. The state attorney's office in Southwest Florida has not charged either man yet, said Samantha Syoen, spokeswoman for state attorney's office. “The case has not been turned over to us to review, when that happens, we will review it for appropriate charges,” she said. On the Friday before Dr. Teresa Sievers was killed, Jimmy Rodgers punched out at 6 p.m. from his job at a construction company in eastern Missouri. He told his girlfriend he’d be out of state on a business trip he expected to net him $10,000, according to a friend. But his employer, JV Contracting, says Rodgers wasn’t scheduled to work on June 27, 28 or 29, contradicting his story. Sometime after leaving work that Friday, Rodgers traveled more than 1,100 miles south, where his probation officer said he was spotted at a Walmart store in Fort Myers on Sunday, June 28. The next morning, Sievers was found dead inside her Bonita Springs home. Last Thursday, Lee County Sheriff Mike Scott announced that Rodgers and another Missouri man, 47-year-old Curtis “Wayne” Wright, were named in warrants for second-degree murder in Sievers’ death. Both men are in custody in Missouri and will later be extradited to Florida to face the charges. On June 28, Rodgers’ girlfriend, Taylor Shomaker, threw a baby shower for their mutual friend, Wendy Crader, up in Missouri. Crader said Shomaker told her Rodgers was on a business trip for his company and expected to make $10,000 over the weekend. Crader said she wasn’t sure if Rodgers made any money that weekend but did know that he and Shomaker had purchased a van since then. In TV coverage this past weekend, a blue minivan is seen parked in front of the couple’s trailer in Cadet, Missouri. BONITA SPRINGS, Fla.- In a time of tragedy and uncertainty, Dr. Teresa Sievers' sister Annie Lisa is choosing optimism over anger. "Of course I'm angry, who isn't angry about what happened? But that's not going to solve anything. We need to have hearts filled with love and hope," Sievers' sister Annie Lisa said by phone Monday. "I'm on pins and needles. I, like the rest of the world wonder what the next dot is going to be that's connected in my sister's murder," Lisa said. So far, two Missouri men have been charged with Dr. Sievers' murder. 25-year-old Jimmy Rodgers and 47-year-old Curtis Wayne Wright. Family confirms that Curtis Wayne Wright is Sievers' husband Mark's best friend and that he attended Sievers' funeral. Annie Lisa said it's crippling to know that Wright is accused of the crime but said she needs to stay strong for Dr. Sievers' two daughters. "I know that they are safe. But I want to hold them in my arms and I want to tell them that everything is going to be ok and I want them to look into my eyes and understand that I was the closest person in the world to their mom and I wouldn't do anything but give them love and support them and tell them the truth," Lisa said. "If you're a religious person and you want to pray for the girl pray. If you're not a religious person and you believe in energy, then send positive energy and send light. Imagine those beautiful faces and send light and love to them and protection," Lisa said. Lee County Sheriff Mike Scott has stated that the case is far from closed. "Sometime after leaving work that Friday, Rodgers traveled more than 1,100 miles south, where his probation officer said he was spotted at a Walmart store in Fort Myers on Sunday, June 28. 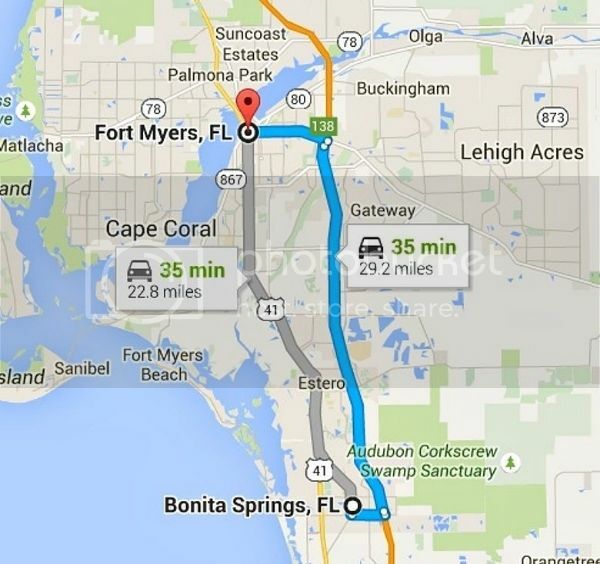 The next morning, Sievers was found dead inside her Bonita Springs home."